Property 1: Walk a Block to Uptown (Our Downtown) to the main shops, tours, restaurants. Property 2: Studio w/ WiFi, Resort Pool & Spa Near Art Galleries, Shopping & Hiking Trails! Property 3: 1BR w/ WiFi, Resort Pool & Spa Near Art Galleries, Shopping & Hiking Trails! 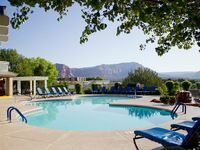 Studio w / WiFi & Resort Pool Near Slide Rock, Mountains & Apple Farms! 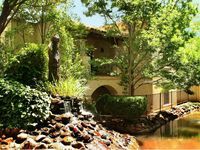 Property 16: Studio w / WiFi & Resort Pool Near Slide Rock, Mountains & Apple Farms! Property 21: Luxury Condo w/ Outdoor Resort Pool & Hot Tub, Free WiFi and More! Family-Friendly Condo w/ Outdoor Resort Pool & Hot Tub, Free WiFi and More! Property 24: Family-Friendly Condo w/ Outdoor Resort Pool & Hot Tub, Free WiFi and More! Wonderful property, best time share we ever exchanged for. First class facility, great location. Unfortunately we were forged to check out after only one night by a forecast of heavy snow. Bet that doesn&rsquo;t happen often. Otherwise a great experience.